Babette Brumback, Ph.D., is Professor and Associate Chair of the Department of Biostatistics at the University of Florida. Her statistical research has concentrated on methods for longitudinal data analysis, causal modeling, bias adjustment, and analysis of data from complex sampling designs. She has also collaborated extensively on public health and medical studies concerning a broad array of research areas. 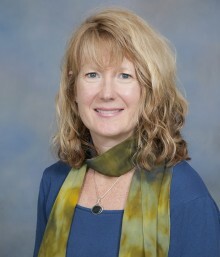 Her professional activities include serving in 2015 as Chair of the American Statistical Association Section on Statistics in Epidemiology, serving in 2015—2016 as President of the Florida Chapter of the American Statistical Association, serving from 2011-2015 as a member of the National Institutes of Health Study Section on Clinical and Integrative Cardiovascular Sciences, and serving in 2016-2017 on an Advisory Panel for the MMS Program of the National Science Foundation. She has also served as Associate Editor of Biometrics and as Statistical Editor of Psychosomatic Medicine. Dr. Brumback received her PhD in Statistics from the University of California, Berkeley in 1996, followed by postdoctoral training in Biostatistics and Epidemiology at the Harvard School of Public Health from 1996-1999.